Cadbury Dairy Milk Pebbles New Chocolate Alert!!! It’s a nice start to the day when you get asked to review some chocolate. Cadbury sent me two backs of their new Pebbles. We love a bit of choclate in our house and reviewing new choclate was never going to be a hardship now was it! Blogging sometimes makes me one very popular mummy – it certainly makes me a happy one too. 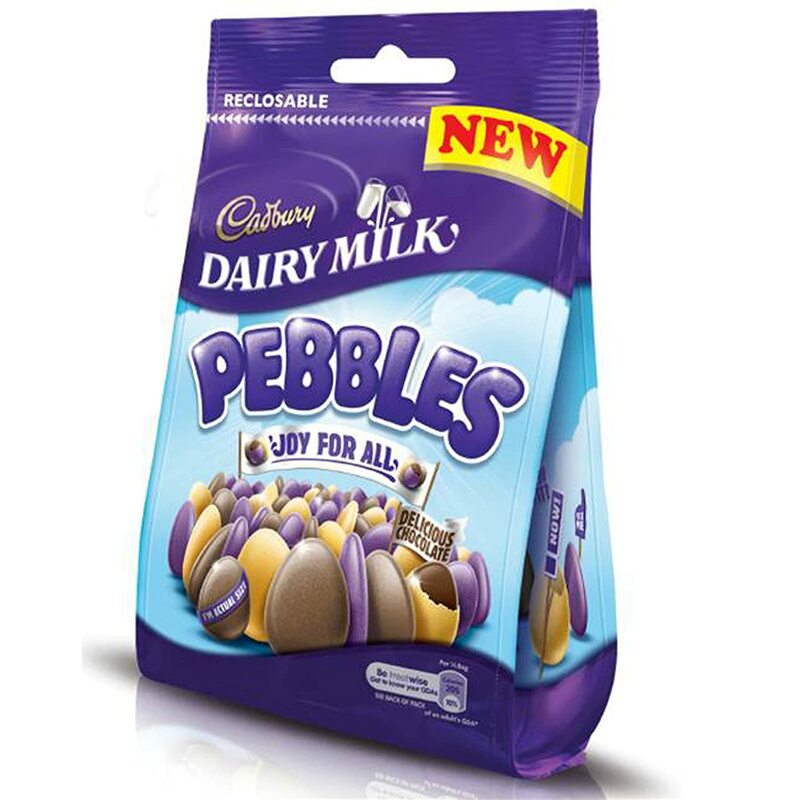 So what on earth do Cadbury Dairy Milk pebbles taste like…. Click here to see the whole Cadbury range , Competition to win tickets to Cadbury’s world coming very soon to baby budgeting! Keep checking in. Have you tried these yummy choclates yet. If not i would kep your eye out for them – they are an absolute treat. Next Post Advice for savers and borrowers – big and small.